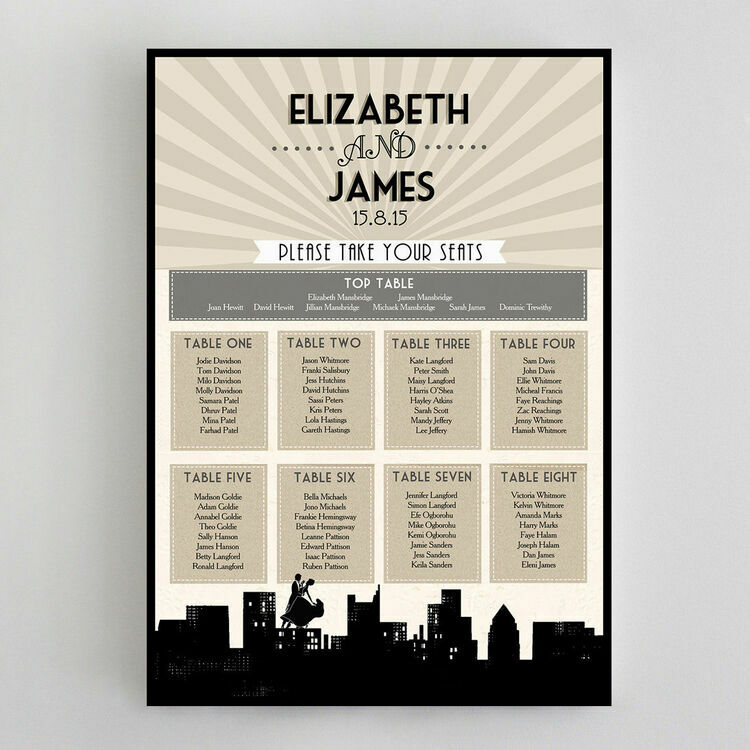 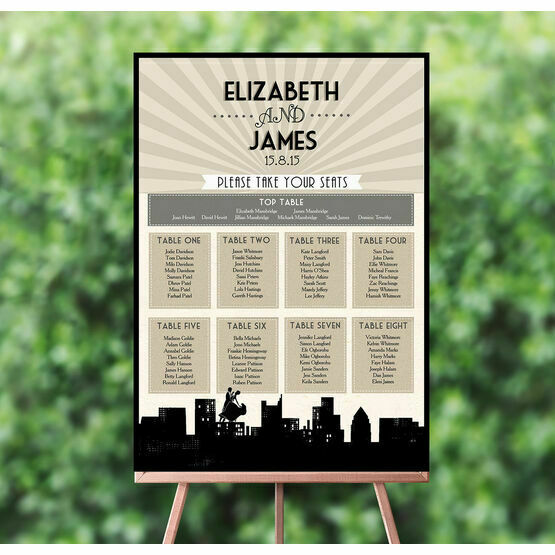 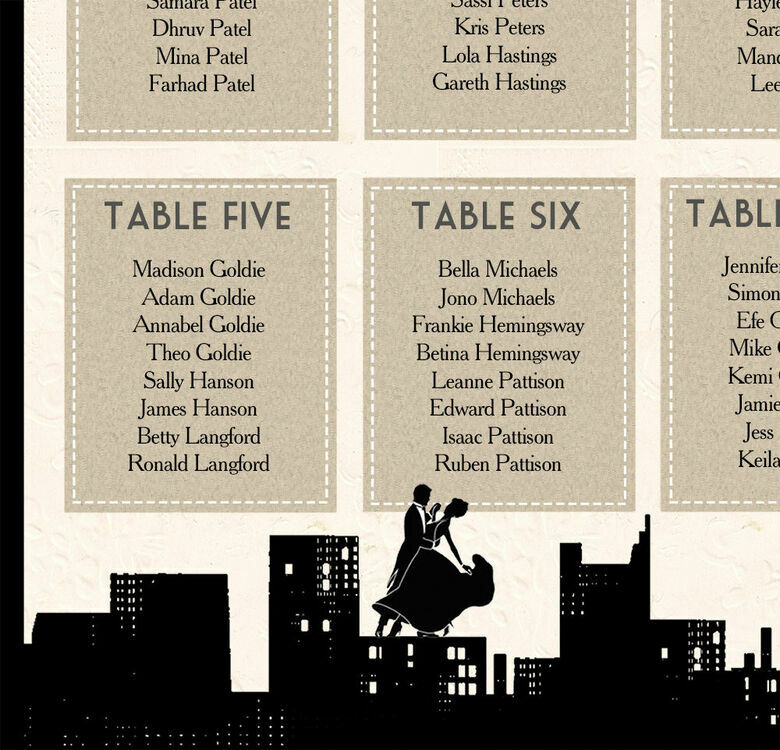 Bring a touch of vintage Hollywood to your wedding reception with this statement table plan design featuring a couple dancing on the romantic city skyline. 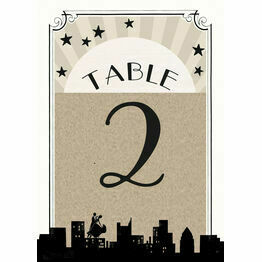 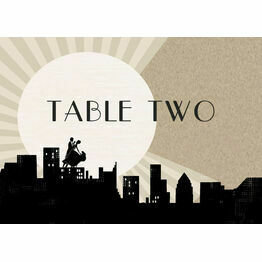 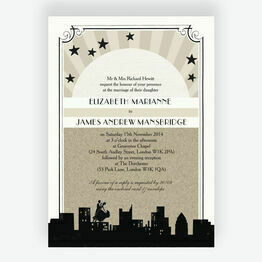 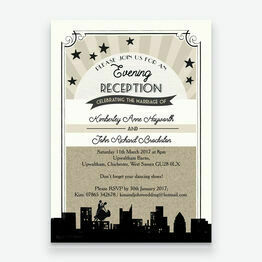 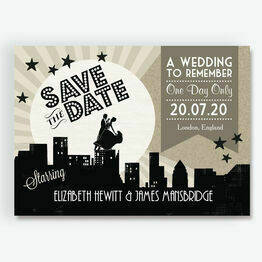 A glamorous and neutral colour palette of black and champagne gives this design a distinct 1920's art deco theme. 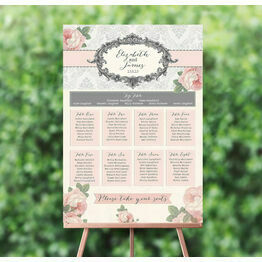 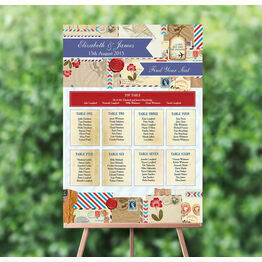 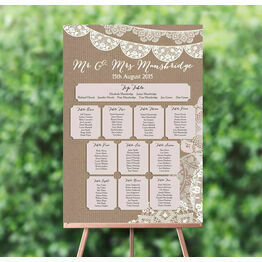 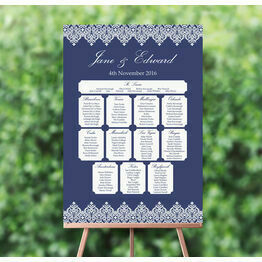 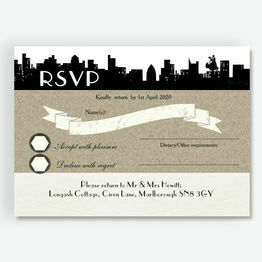 Looks elegant but still fits with our theme and was easy to personalise. 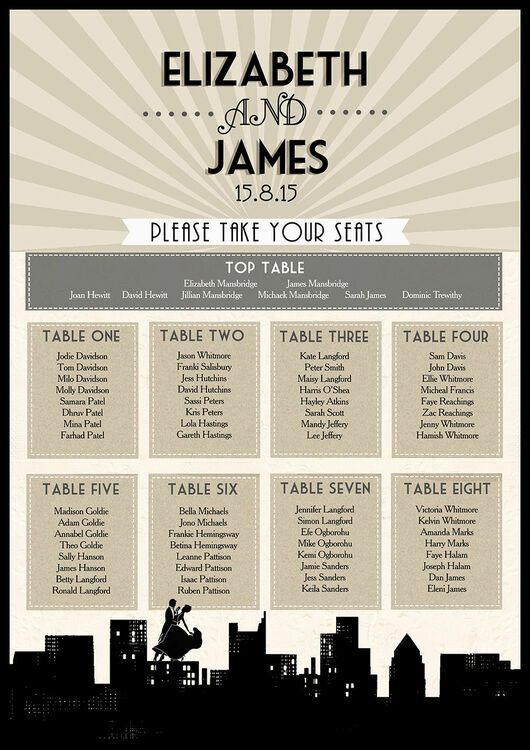 Response time was excellent.